Set within the beautiful Alps region of France, close to the border with Italy, La Tania is the perfect place for a summer alpine holiday. Set on the edge of the spectacular Parc National de la Vanoise, the resort offers guests access to beautiful quaint villages dotted through the mountains, as well as exhilarating activities and a taste of French culture and history. 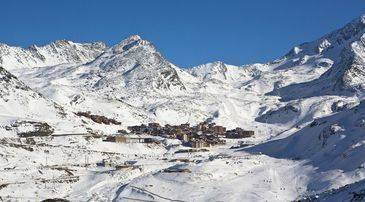 As part of the 3 Valleys region, guests can also explore the other summer resorts of the area, including Meribel, Courchevel, Les Menuires, Val Thorens and more. In recent years La Tania has been given an overhaul, and it is fast becoming a popular destination for those wanting to enjoy a summer holiday in the beautiful Alps. There is a vast range of activities for visitors to take part in as soon as the sunshine melts away the snow, revealing a landscape filled with tranquil glades, lush valleys, thick pine forests and plenty for everyone to enjoy. Whether you're travelling with the family, a group of friends or with a loved one you're sure to find something special here. Many of the hotels and apartments stay open during the summer, and with its connection to the rest of the beautiful 3 Valleys, guests can enjoy the fantastic attractions of the winter, just without the snow. 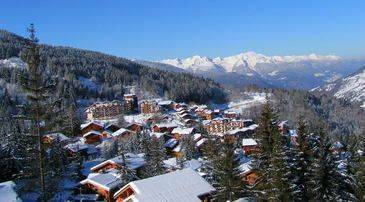 Ski France offers spacious chalets with relaxing and comfortable self-catering facilities in La Tania. A summer stay at Les Chalets de La Tania places guests in a prime location to enjoy the shops and restaurants of the town. La Tania's tourist board has recently increased its summer activities programme with the aim of attracting visitors outside of the peak winter months. This makes it an ideal place for a holiday packed with activities and opportunities for exploration, in a picturesque area of the 3 Valleys. There are some amazing free activities to try, not least of all exploring the mountains. Take the lift up to the top and amble your way down, or take a map and get lost among the beautiful paths and trails which crisscross through valleys, along mountainsides and through the stunning pine forests of the area. Keen mountain bikers will find something to suit all levels, while there are gentler slopes available for families wanting to explore at their own pace, with a delicious picnic packed with regional snacks from the local shops. Alternatively, animal lovers can enjoy horse riding through the area, with expert guides on hand to show you the ropes and lead you through the most picturesque trails. The resort itself is home to an outdoor swimming pool, plus plenty of opportunities to make the most of the warm summer sunshine. Tennis courts are available to hire (with tennis instructors on hand), plus a beach volleyball court and a basketball court. Try the traditional French sport of boules, if you can remember the rules, or make the most of the table tennis available. Those wanting to try something faster paced will find rock climbing, white water rafting along the fast flowing summer rivers, hydro speeding, and canyoning all just minutes from the centre of La Tania. And to really make the most of the Alpine views there is also fishing, archery, clay pigeon shooting and golf in the nearby resorts. Meribel Golf Course provides some incredible views as a backto your game, and 18 holes, while at Courchevel there's a slightly smaller 9-hole course. The La Tania tourist office has started to put on a number of free and inexpensive events throughout the summer months, with something available for guests of all ages. The new La Tania Theatre Festival takes place in July and offers some English productions, although visitors may need to brush up on their French. There is also a children's cycle race, open days at the ranch where children can pet the animals, live music events which included The Kooks and Muse in 2015, and some incredible fireworks displays. La Tania is home to some wonderful restaurants, as well as small shops where visitors can pick up local produce and homemade products to enjoy in their self-catered accommodation. These shops are especially ideal for those wanting to pack a picnic for the day, and include La Saucisse Savoyarde, where you can pick up wine, cheese, lasagnes, sandwiches and more. The Bakery serves croissants and other French delicacies, while Snow Food offers sandwiches and pizzas to takeaway. Those wanting to enjoy a taste of delicious French cuisine during their stay will find plenty on offer in La Tania. La Ferme de la Tania serves local dishes such as pate, cured meats and more at reasonable prices and with the classic fancy French style. Le Bouc Blanc is located on the mountain and a good stop for lunch, offering beautiful views over the green valleys and mountainsides, along with some crisp French wines. Choose from croque monsieur, omelettes, pasta dishes and more. La Tagia is another top choice for dining in La Tania, serving hearty salads, delicious organic produce, fish dishes, meat dishes and more. In terms of nightlife, La Tania remains relatively tame and family friendly, with a few bars on offer where guests can enjoy a relaxing night over cocktails or a glass of local French wine. Pub Le Ski Lodge is open in the evenings and a good place to catch up with friends, but for more lively nightlife most visitors head to TC's Bar in Tignes. With a shot fountain, French cider, Guinness and other beers, as well as cocktails and some delicious pub grub, it works hard to draw the crowds. TC's Bar is open from 6pm during the summer months. A wider range of lively nightlife can be found in the nearby resorts of Courchevel and Meribel, where you'll find a host of bars to enjoy. 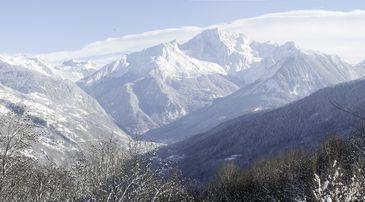 The La Tania gondola lift will take visitors up the mountains above La Tania, and is free during the summer months. The gondola is scheduled to open every day from 9.30am to 12.30pm, closing until 1.30pm and remaining open until 4.45pm. It is important to make sure you plan your day so you're not stuck on the mountain without the use of the lift. The gondola is also closed on Saturdays. The nearby lifts of Praz, Verdons, Saulire and Pas de Lac are also open daily from 9:30am until 4.45pm with the Saulire lift closing at 4:40pm. All of the lifts and closed on Saturdays. Those who have visited in the winter season are able to use their passes, which are valid throughout the summer. You are also able to upgrade your single valleys pass to a 3 Valleys pass for just Eu49. There is plenty to keep children entertained during a summer visit to La Tania, and childcare facilities are available for those wanting to spend a little time away from the children! Nannies and child care are on offer, and there are a number of reputable companies operating in the resort. SnowBugs.co.uk also runs in the summer and can provide nannies, as well as entertainment. Alternatively, the La Tania Creche is on offer for little ones aged 4 months to 6 years. This is only open at the very beginning of the summer season. For further recommendations for nanny services the tourist office has a babysitting list. Those who have not hired a car are able to book reliable transfers through Madame Vacances before they leave. Alternatively, there are free open air parking spaces dotted throughout the resort, or an underground car park which costs Eu45 for a week. In the heart of La Tania's chalet quarter, close to the walking and cycling routes. 500m from the centre of the resort, shops, bars, restaurants, swimming pool etc which are accessed from an elevator which descends from the chalet quarter. Traditional, comfortable chalets in the heart of the charming chalet quarter in La Tania with a terrace and views over the Bozel valley.